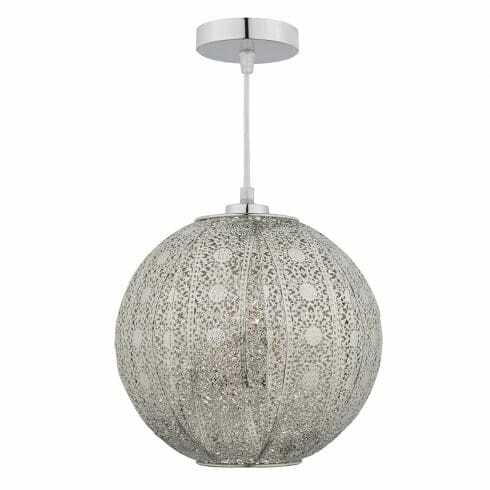 Dar Lighting Bazar single light is an easy fit ceiling pendant in an antique silver finish. This attractive ceiling pendant, with its Moroccan design shade will instantly update any suitable room within your home without the need of an electrician and is perfect lighting for modern or contemporary decors either grouped together or on its own. This product code is BAZ6532. Also available is a Bazar table lamp to co-ordinate this style which is product code: BAZ4032 and can be purchased via our website.